VMAC is proud to have a responsive, knowledgeable and accessible sales team at your disposal. Locate the VMAC sales rep that represents your area for further assistance. Covers Alaska and Canada, with the exception of Ontario & Quebec. 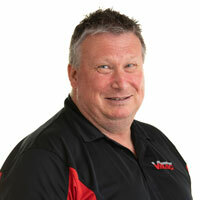 Darren has been with VMAC since 2009 and has the knowledge and industry expertise to show for it. His work with California businesses has helped Darren become familiar with the needs and demands his customers experience. Covers Washington, Oregon, Idaho, California, Nevada, Utah, Arizona and Hawaii. 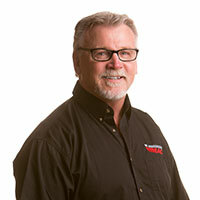 Tim has been involved in the air compressor industry for 30 years. 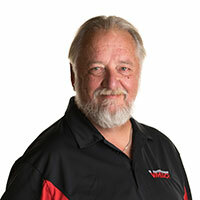 He has worked with companies such as Ingersoll-Rand, RockMore Int., Atlas Copco, and now VMAC. 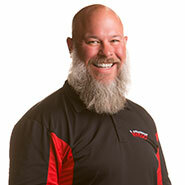 Tim’s professional experience includes technical support, equipment management, and application / sales consulting. This balance of experience gives Tim a unique perspective working for manufactures and end-users. Chris started his career in a small upfit shop in North Carolina. He joined Ingersol-Rand in 2007 as an technical support and applications engineer and worked his way up to Product Engineer over all compressor modules – hydraulic and PTO driven. Chris has over 10 years experience in pneumatics and hydraulic systems and looks forward to using that knowledge to help VMAC customers. 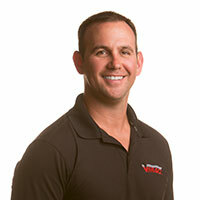 He is excited to be a part of a growing organization with the best products in the industry. Covers Connecticut, Delaware, Illinois, Indiana, Kentucky, Maine, Massachusetts, New Hampshire, New Jersey, New York, Ohio, Pennsylvania, Rhode Island, Vermont & West Virginia. Brian started his career as brake engineer for large industrial equipment, construction, mining, lawn/garden, military, and agricultural sectors. After about seven years, he realized he could be most effective in sales because of his ability to communicate with people who do not have the technical engineering background, as well as the engineers themselves. 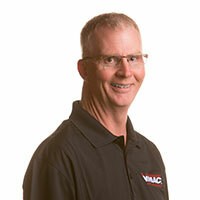 In this role at VMAC, he will be traveling around his region, supporting and growing VMAC’s dealer network; and meeting with end-users and learning about their needs and finding solutions for their problems. Covers Colorado, Iowa, Michigan, Minnesota, Montana, North Dakota, Nebraska, South Dakota, Wisconsin & Wyoming. Dean started his career 25 years ago with a Caterpillar dealer in the service department before transitioning into Commercial Truck Sales and Truck Equipment Sales, where he has spent the last 18 years. This has provided him a vast knowledge of the both dealer and end-user needs, which has made him a perfect problem-solver for even the most challenge set of circumstances. Dean knows no two businesses are alike and loves working with dealers and end-users to find the best solutions to meet their unique needs. 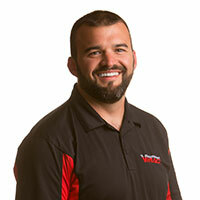 JP is a highly knowledgeable Product Specialist on the sales and marketing team. JP talks to potential customers to determine their specific needs and then helps them identify the best VMAC system for their applications. Prior to his current role, JP was part of VMAC’s tech support team for 13 years, where he worked closely with dealers and end-users. 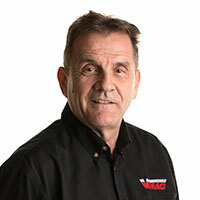 That experience gives JP unique insight into VMAC’s air compressor and multipower systems, and a strong understanding of what operators need to enjoy success. Provides exemplary customer service to our existing world-wide Dealer network. Stefanie has worked at VMAC since September 2013. With a strong background in customer service and office administration, Stef has worked in various departments at VMAC, including Finance. 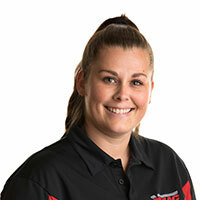 Stef loves working with numbers and providing exceptional customer care, and is looking forward to merging the two in her role in Inside Sales. 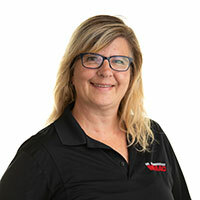 Natasha has worked at VMAC since September 2012, coming to us from the customer service industry where she has been providing excellent customer service for over 20 years. 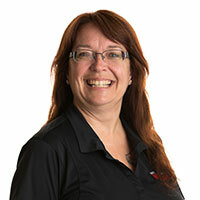 Natasha makes your issues her own and works hard to ensure that you’re smiling at the end of the call.